In technology parlance, the emotional result of a person’s interaction with a website or digital app is called “user experience” or “UX” — and the success of a business depends on it. Users who have easy, positive experiences with websites and apps likely will be drawn back to the business. On the contrary, websites and apps with poor navigation and slow loading times likely will turn off consumers. To optimize UX and enhance customer perceptions of your brand, following are five UX Do’s and Don’ts to focus on. 1. Do invest in a unique visual experience. Don’t choose cookie-cutter solutions. Restoration Hardware. The simple, neutral background allows brand imagery to speak for itself, and the uncluttered navigation supports an easy, straightforward shopping experience. Additionally, the page’s text copy is short and direct, to give visitors clear options and guide behavior. 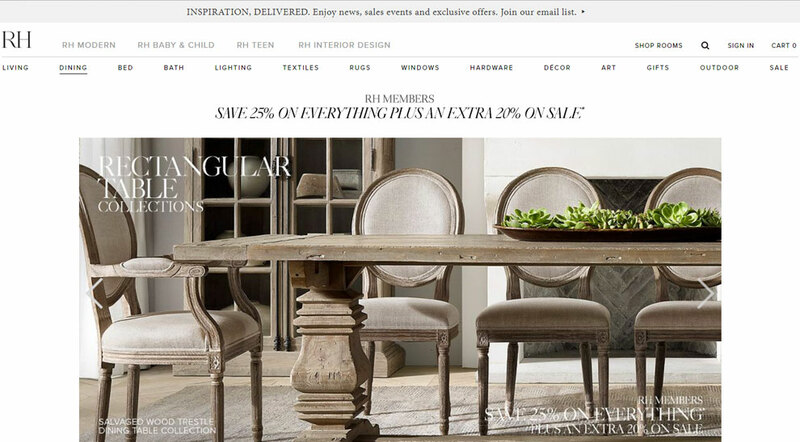 Lastly, the main image not only displays business products, but also conveys the atmosphere that Restoration Hardware promises its customers. Regardless of stylistic preference, Restoration Hardware offers a distinct visual experience on its website. 2. Do make messages personal. Don’t be generic. With the latter research, businesses can install appropriate technology to address specific customer desires, even at scale. For example, a simple upgrade for personal messaging could be automating business newsletters/email outreach to populate each recipient’s name in the greeting. Instead of, “Hello,” the customer would be greeted with, “Hi Ted.” Little details can make a huge difference. 3. Do get social. Don’t keep to yourself. Social media is a mandatory extension for a business’ website. It contributes to the UX businesses want to create, but not all social media platforms are right for business. Be careful to choose the right social media platform to leverage your strengths and connect with your target audience. 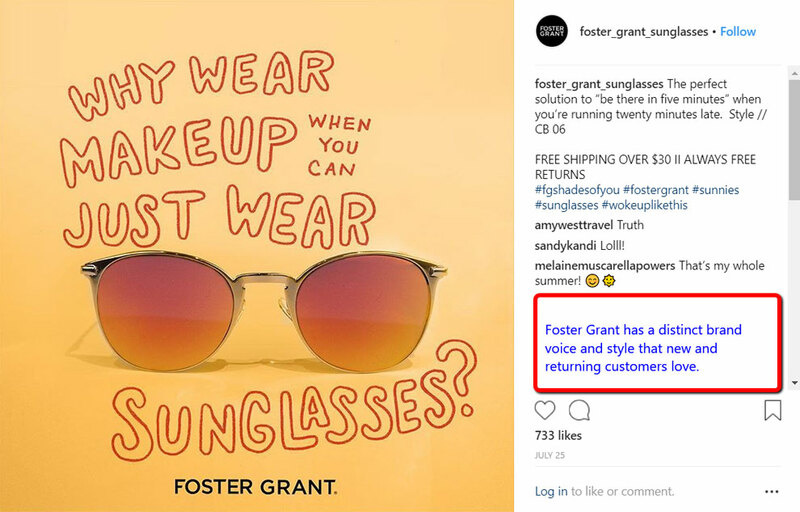 Foster Grant, which uses messaging that is personable and that its customers can relate to. 4. Do balance form and function. Don’t put all your eggs in one basket. To boost conversions, a website’s UX should feel and perform like it is from 2018. This requires keeping up with the latest technology and design trends, such as mobile-first optimization and simple, iconic aesthetics. 5. Do offer an omnichannel experience. Don’t restrict usability. Omnichannel means providing the same excellent UX whether customers shop in-store, online or digitally via mobile device, tablet or laptop, or even live chat or by phone. Giving people options makes shopping more convenient and increases a business’ chances for conversion. At the end of the day, UX is about creating an “environment” on your website or app that visitors/users will enjoy and want to return to. Remember, UX is never final — it is meant to be a work in progress, keeping up with the latest and greatest in innovation and technology. Businesses should analyze performance and take corrective action to tweak and improve UX every few months. Ask questions on how customers are behaving, and that identify what is and is not working. Review Google Analytics, check conversion funnels, look at drop rates from email lists, and use heat mapping tools. Then, take this information and funnel it through the UX Do’s and Don’ts discussed here.